Do you have a hard time breathing, abnormal heartbeat, chest pain? You might probably have a blood clot. A blood clot is like a gel mass formed by platelets and fibrin in the blood to stop bleeding. Blood clots do nothing harm to ourselves because it forms to repair damage to a blood vessel, either an artery or vein, or you cut yourself. But when blood clots inappropriately appear in your deep veins. they may cause significant problems because blood flow past the clot is decreased. 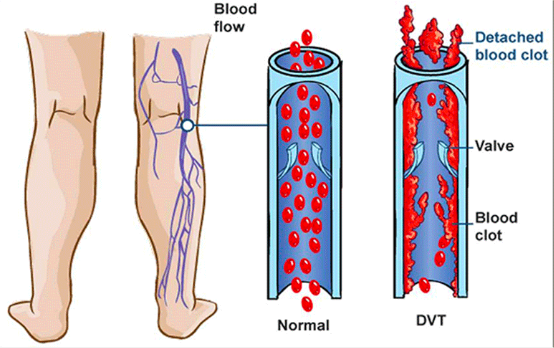 The dangerous type of clot is called 'Deep Vein Thrombosis' (DVT), a blood clot in the deep vein of the leg, can impede the healthy venous blood flow back up to the heart. 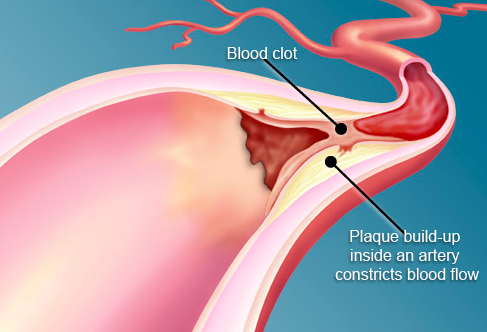 If the blood clot breaks away and travels to the lungs, it may cause serious consequences, causing a life threatening condition known as a 'Pulmonary Embolism' (PE). 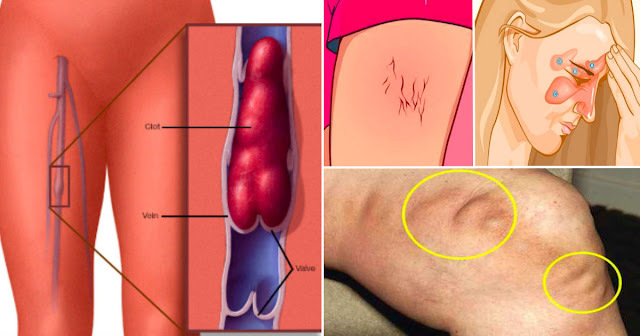 Below is the list of 9 major early warning signs you should pay attention to recognize the symptoms of DVT as soon as possible and spare yourself from danger. A flutter in your chest is a sign of having a blood clot. Tachycardia can be caused by a low level of oxygen in your lungs and as a result, your heart tries to make up for the shortage and starts to go faster and faster. One of the symptoms of a blood clot is shortness of breathing or having a hard time to breathe, also called a pulmonary embolism. 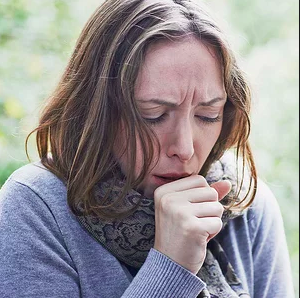 Dry coughing is also one of the warning signs of a blood clot. You might also cough up mucus and even blood. 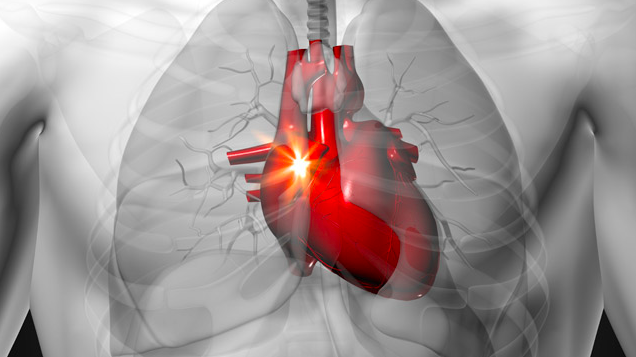 If you happen to breathe and feel a chest pain, that could be a symptom of a pulmonary embolism. One of the warning signs of a blood clot is a red or dark spot on your skin that appears without any reason. You might also feel tenderness, warmth, and pain in this area while you're stretching your toes upward. 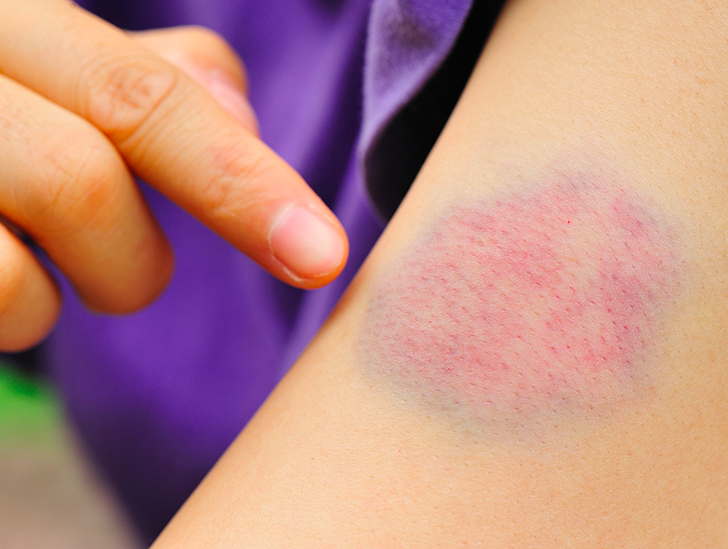 Sometimes, it looks like a normal bruise but it actually needs an immediate medical attention. Pain from a blood clot can be easily mistaken for a muscle cramp. But this kind of pain more often occurs when you are walking or flexing your feet upward. If one of your ankles has become bloated, it could be a symptom of DVT. This requires an immediate medical attention. One of the symptoms of blood clot in your abdomen is vomiting, also known as mesenteric ischemia. This contion is usually coupled with severe pain in the abdominal area. You may also experience nausea and even have blood in your stool because your intestine doesn't get enough blood supply. If one of your eyes happened to lose it sight, it is usually a sign of central retinal artery occlusion. Vertigo and problems with keeping your balance are also additional symptoms. It is considered a serious medical emergency. A person with DTV may have or without any noticeable symptoms. 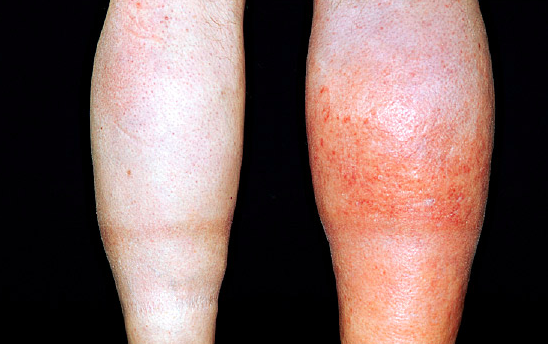 But if you have any of the following DVT symptoms, it’s important to take action. Get evaluated and if a blood clot is present, immediately seek treatment from a qualified physician, surgeon, or vein specialist.